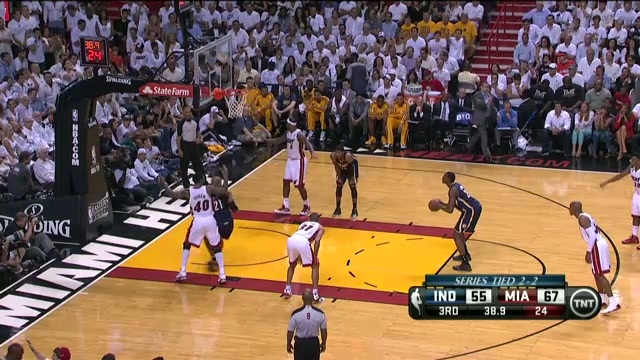 This is an example of a situation where a free throw violation IS NOT committed by an offensive player positioned along the lane line. During free throw attempts, offensive players positioned along the lane line may not enter the key nor vacate their lane space until the ball is released by the shooter. On this play, the highlighted offensive player enters the key before the release of the ball by the shooter, but he then EXITS THE LANE before the ball is released by the free throw shooter. Again, there is no violation on this play, and the successful free throw would be scored.